Few will probably know that the late Nelson Mandela used to be an amateur boxer in his younger days. 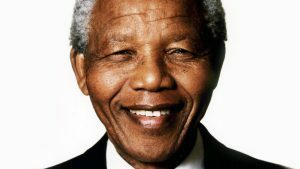 It is fair to say that Mandela probably viewed boxing as an art form that enjoyed the technicalities of the sport rather than the bloodshed that it can often create. He would workout, like a boxer does, to relieve tension and stress. 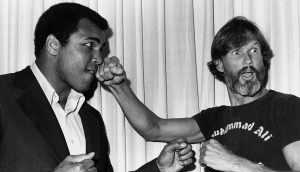 It could be said that maybe he used boxing much in the same way that Bruce Lee used martial arts, as a way to enhance his life. 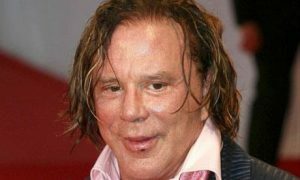 Before rising to the top to be recognised as one of Hollywood’s great actors, Mickey Rourke took up boxing as a means of self defense and decided to box in an amateur capacity. He didn’t make it as far as he would have liked, having compiled an amateur record of 27-3 and suffered a concussion more than once. Although Rourke had already started acting, he would pursue it full time soon after. 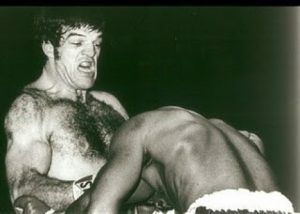 The former Superman II villain’s boxing career is one of the more well known in acting circles. He has fought the likes of Ken Norton and George Foreman, suffering losses to both professionally. He has been inducted into the California Boxing Hall of Fame. Using the name “Jack Brazzo,” Palance was undefeated in his first 15 fights, with 12 of those wins coming by knockout. He faced his first loss against future heavyweight challenger, Joe Baksi in 1940 before starting military service soon after. 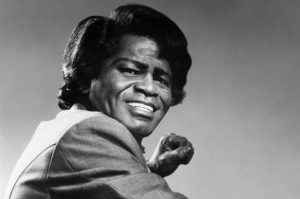 Like many boxers, legendary singer James Brown’s childhood was turbulent. He got into trouble with the law a number of times and took up boxing after he was released from prison for stealing a car. This stint lasted two years before he entered the profession that he would go on to be known for the world over, music. 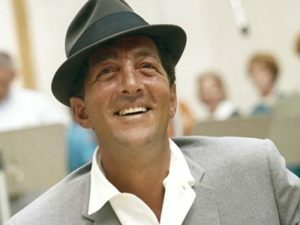 Fighting under the name “Kid Crotchet,” Dean Martin would fight as a welterweight boxer. Desperate for money, he would actually charge people to watch him box in his hotel room, with the rules echoing the bareknuckle years of the sport. The fights would not end until somebody was knocked out! Apparently, the final stats on Martin’s record was 24-6 although that has not been officially confirmed. 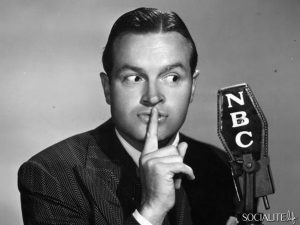 Bob Hope involved himself in some organized boxing matches in his later years, but he took boxing up full time in 1919. He made it to the Semi Finals of the Ohio State Boxing Amateurs tournament, losing to Happy Walsh by knockout. 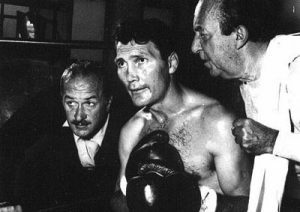 The fights he later got himself involved with in his more famous years were against the likes of Sugar Ray Robinson and Rocky Marciano for charity. Although his father wanted him to pursue a career in the military, Kris would take up boxing for a while as a Golden Gloves fighter. But many other opportunities were fortunately open to him and he followed the path to becoming a musician before heading into acting. 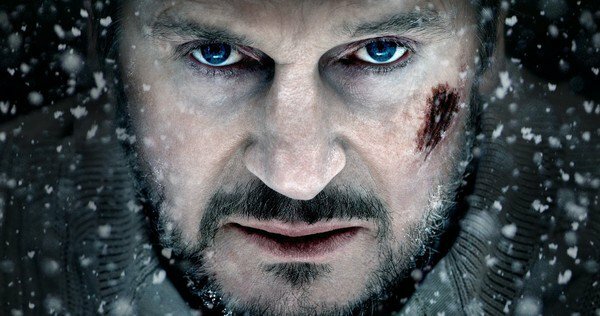 The Irish action star was an amateur boxer in the 1960’s, and the word is that he was pretty good at it! 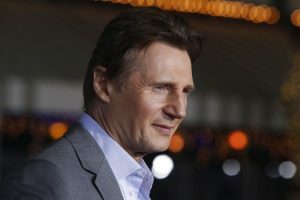 Starting at the age of 9 until hanging up his gloves until he was around 16 years old, Neeson was juvenile champion of Northern Ireland three times. He has claimed that he won about 30 fights and walked away from the sport after suffering a serious concussion that caused him to become incoherent for a short while.